Guess what? This is my first 'Group Tour' as a blogger! 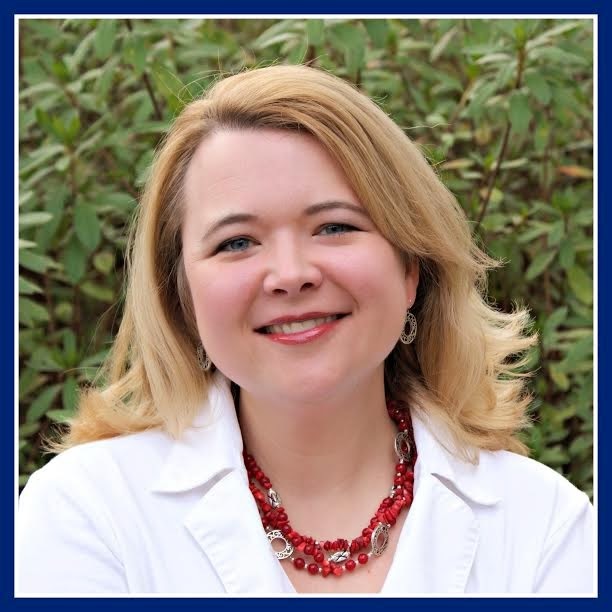 I was so excited to be invited by Erin Dove to join the Tour Through Blogland, where bloggers share a little more about themselves, their family, home and blog. At the end of this post I'll introduce you to a couple more bloggers to continue the Tour next week! It's all you want to know about some fabulous bloggers...and a little more! So thank you to Erin for the invite! Erin blogs at The Blue Eyed Dove and it's a fun, girly place to visit! 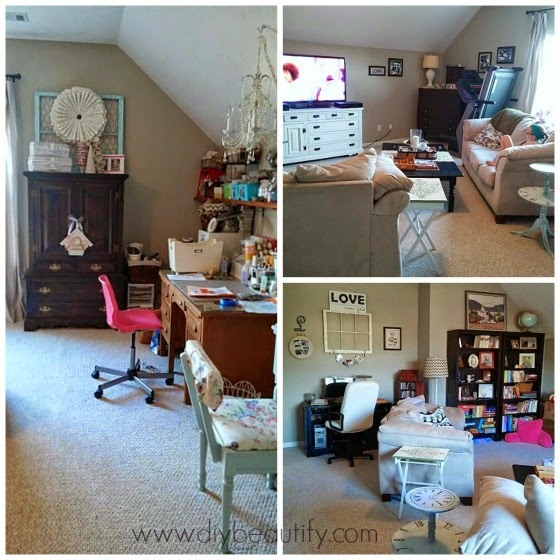 She loves party planning, DIY crafting, bold decor (this gal has a purple kitchen! ), fashion and skinny recipes. Basically, if you're a girl...you'll love her blog, lol! Now, are you ready to see and hear a little more about me? Welcome! 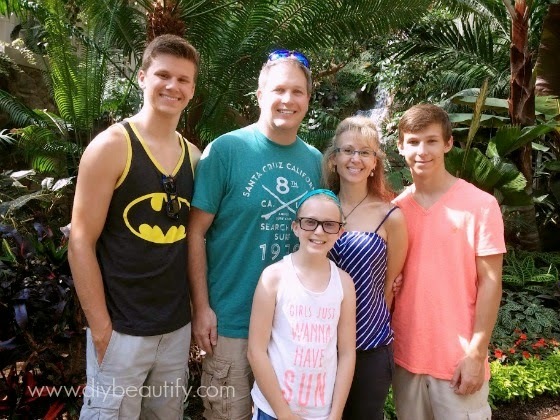 Meet my family...the story of an All-American guy who captured the heart of a Canadian gal, married her and brought her down to his homeland to live happily ever after :) We have three awesome kids... a recent HS grad, an almost-17 year old and a goofy little girl who will be 10 in a few days. My goal when decorating my home is to create a space that is inviting and warm. I've kept a mostly neutral palette and love to add colorful pillows and accessories for the seasons. 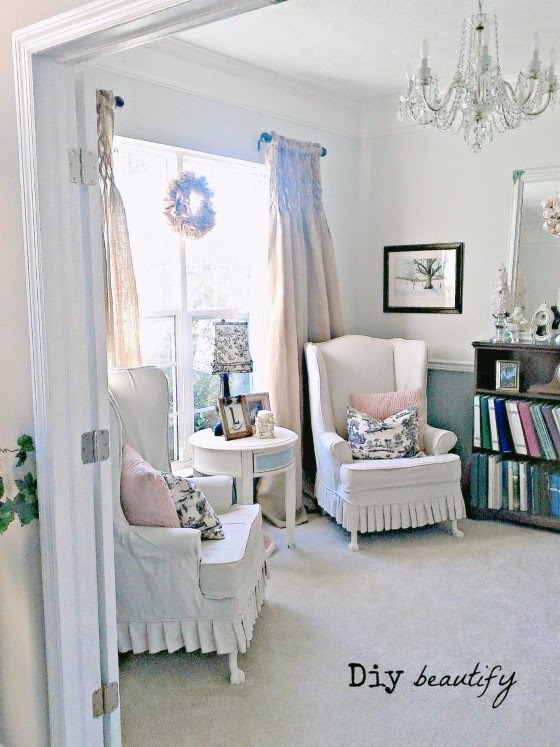 Slipcovers (many that I've made myself from painters drop cloths) are functional and add a pretty french farmhouse feel. This is NOT the room where my kids like to hang out, lol! Our bonus room is a multi-purpose space with the TV, computer, games and comfy sofas. I've tried to keep the pillows on the sofas to a minimum (my guys hate pillows - go figure!) and I've managed to carve out a craft space for myself along one wall. This room is hardworking and super-functional. 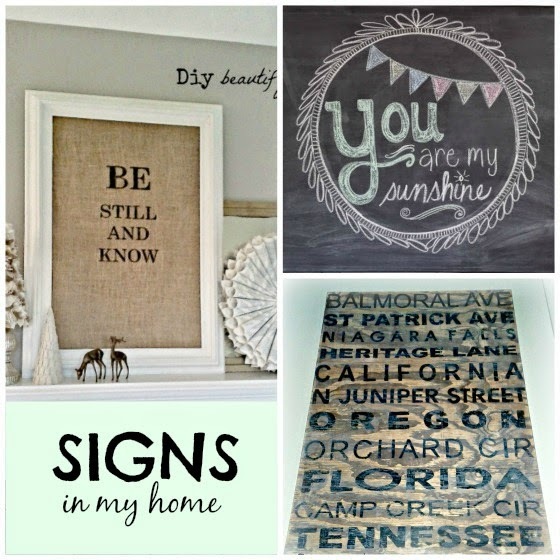 One thing you'll see a lot in my home are chalkboards and hand-painted signs. I have several revolving ones in my home that I've made. One of my favorites is my giant chalkboard that I made from a yard sale frame. There really isn't a DIY project that I haven't done...and my home is a true reflection of my obsessiveness God-given creativity! 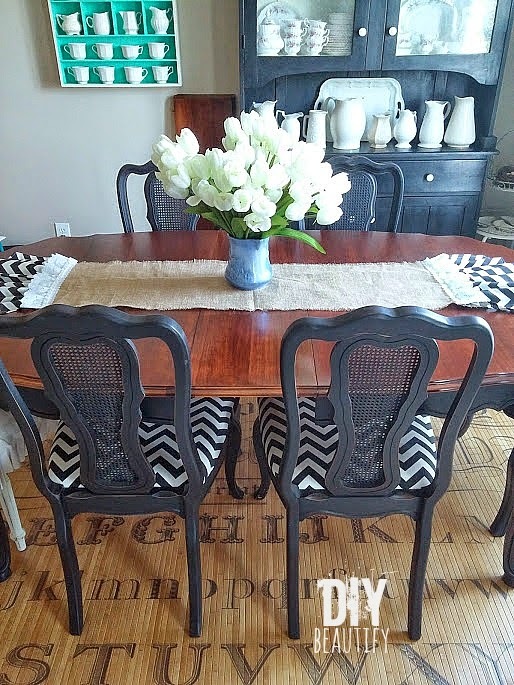 One of my recent and more challenging projects was refinishing my dining room table, along with the 3 leaves. There was a moment when I thought I'd have to paint the top...but everything turned out ok in the end and I love it and am so proud of my accomplishment! I'd love to show you another fairly recent project...my Master bedroom. I painted it and stenciled one of the walls in a large damask. 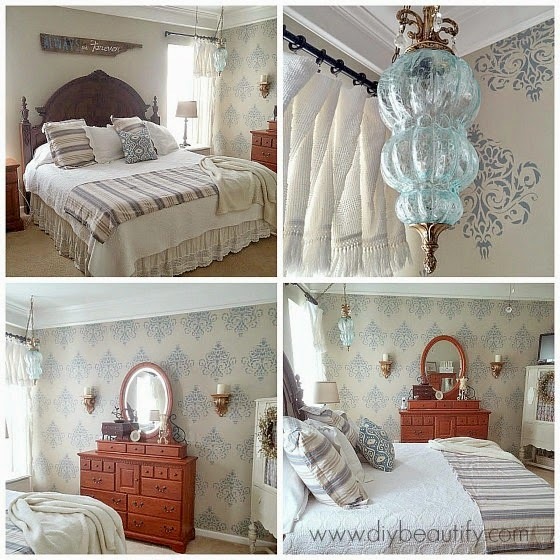 It looks a little like wallpaper and completely changed the look of our whole bedroom! I completed several DIY projects for the space, including painted storage boxes, an update to an old jewelry chest and a DIY chalkboard that I reinvented from a church sale find. 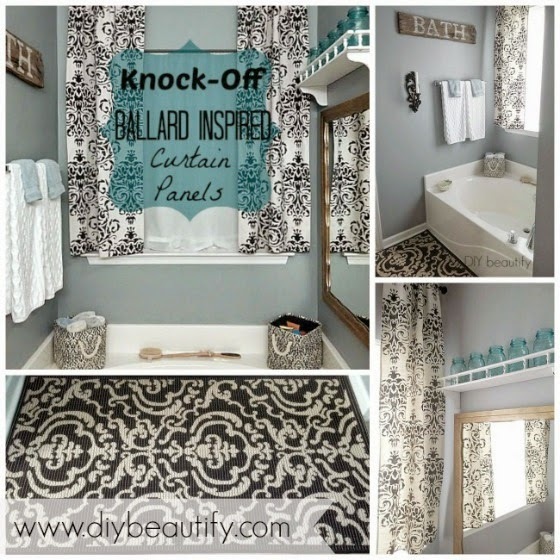 While I was at it, I painted our Master Bath and stenciled curtains to hang above the tub. It's a pretty, spa-like haven to enjoy e a nice, long soak! You might notice that I used the same stencil as in the bedroom...but in a different color and function, it looks totally different! 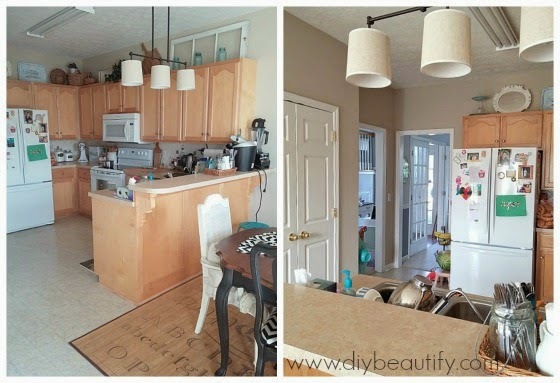 My kitchen is the one room in our home that gives me fits! It's small and inefficient. Storage is limited (I have only 2 drawers!) so I'm constantly trying new things to make it more functional. Mr DIY and I have big plans to increase the functionality of this space, but it probably won't be happening for awhile. One thing you won't find in my home are a bunch of expensive things. Almost everything is thrifted or repurposed. I love that I've been able to create a beautiful home on a teeny, tiny budget and my blog is full of tutorials to help you do the same! Bringing beauty to the ordinary is what I love to do! #1: What are you working on right now? Well, in the last two weeks I completed 3 large furniture projects so I'm taking a bit of a breather and enjoying my week visiting with my brother and his family, who drove down from Canada. But...my mind is always active and what's cooking on the 'ole backburner is setting up a guest bedroom and painting the furniture (that I scored for free) that will go in that space. 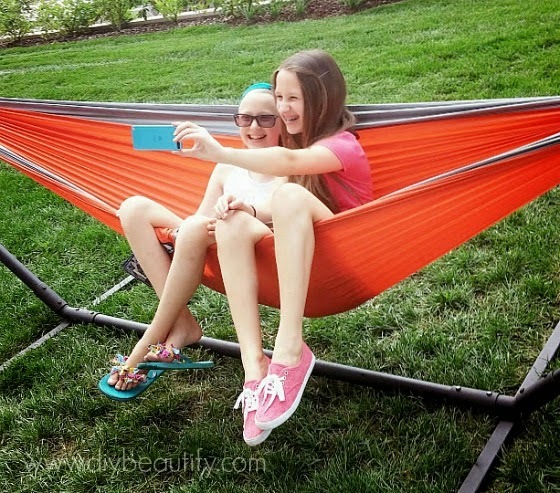 Oh, and here is a fun picture of "cousins-taking-selfies" captured this week...so fun! #2: How does my work differ from others in this genre? I might be the only DIYer who keeps pretty much everything she buys. I have great intentions to sell my projects, but typically fall in love with them and just can't let them go! I'm probably going to need to hire a professional organizer soon, hehehe. I would also say that my blog is not just a showcase of my projects, it's an instructional blog. Most of my projects are accompanied by a tutorial so that you can recreate them on your own. There's nothing worse than finding something amazing on Pinterest and when you click through you hit a dead end. I like reading the "how-to", and I like to provide that to my readers as well. #3: Why do I write/create what I do? I was born creative. I remember making crafts and selling them door to door when I was younger, painting pet rocks, learning to sew. It's not something I can shut off; it's a part of who I am. I started my blog because I wanted a place to document what I do and to share it with others. 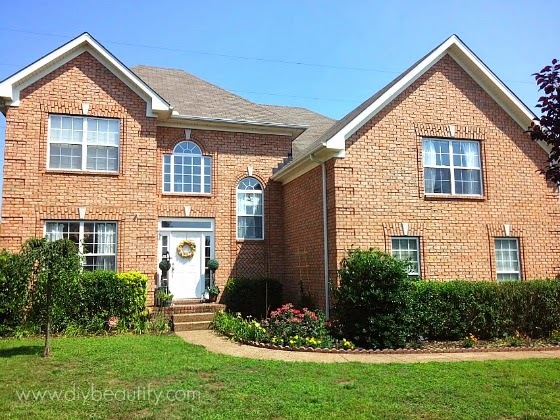 So many people see my home and projects and ask me how I did it. So my blog is filled with tutorials; I want others to see how easy it is to create something beautiful (often out of something ugly and discarded). I guess I really love inspiring others. I love being a part of the DIY blogging community. It's a wonderland of never-ending inspiration and often my creativity is sparked by seeing something another talented person created. 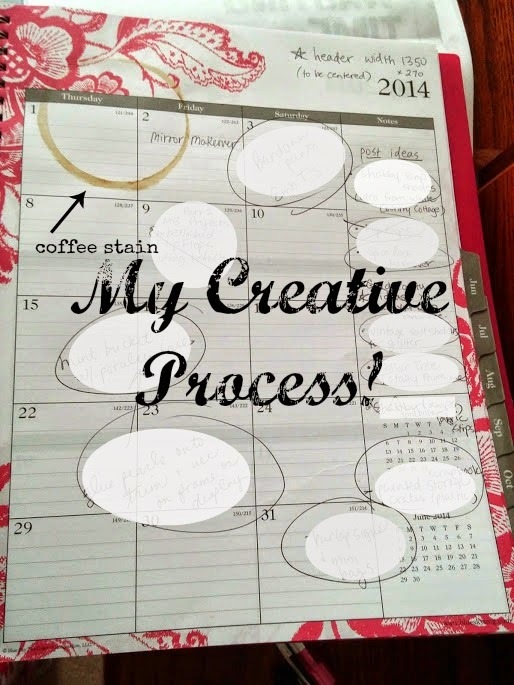 #4: How does your writing/creative process work? All my blog posts are planned out months in advance and I keep a daily....yeah right! True confessions here...I just might be the most unorganized, impulsive person I know, lol! Seriously! I'm always amazed by super-organized people because I reallly want to be that way. I'll buy a cute organizer with great plans to use it...and will then forget all about it, sigh! This might be the best way I use an organizer...as a pad of paper! My creative process is another story. When I look around my home at everything I've made...it's material for my blog. Not to mention the constant projects I have going on...both in my head and in reality! I try to have a couple weeks of blog posts thought through in advance, but I pretty much write as I work. My family used to joke when I was a die-hard scrapbooker that I would create "moments" so that I could scrapbook them. Now I capture moments for my blog - my kids often have to wait for me to take a picture before they can dig in to their meal, lol! I'm often inspired by others and can't wait to try something 'new'. Like my thrift store chair that I painted - wood and upholstery both! I'd read about other bloggers doing this and really wanted to try it myself...when I found the perfect chair, I didn't waste any time! I'm super motivated and determined. When I want to do something, I don't let a lot get in my way. A recent example of this was deciding impulsively to paint our TV console...two days before my brother and family were due to arrive for a week-long visit. Yup, I should have been dusting and cleaning the house...but I chose painting furniture instead! One day, when I'm rich and famous (lol) I WILL hire a maid! Because I'd much rather be crafting! I'm so glad you hung out with me today and I'm honored that you chose to read my blog and visit my pages!. It's time to introduce you to a couple of wonderful bloggers, who will be conducting their own 'Tour of Blogland' next Monday. First up, is my friend Ashley who blogs at 3 Little Greenwoods. 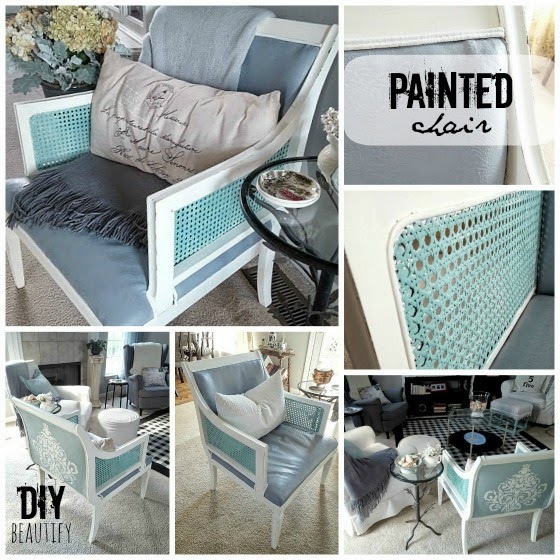 Party Planner, and DIY Lover! due to time constraints and busy schedules. Make sure you head over to Ashley's site next Monday, August 4 and read more about her adventures with decorating, crafting, party planning and being a mama of three. Thanks Erin! It was great to be a part of the Tour...thanks again for the invite :) Maybe someday I'll get to blog about having a maid to clean my house, lol! Nice to see more of your home and your beautiful family! Loved touring your home! You guys have done a ton of work to make it your own. Thank you so much for choosing me for the next "Tour Through Blogland"! Aw thanks Ashley...I'm looking forward to reading your post on Monday!